Let’s go to the beach!! Splash some ocean spray and sunshine on your photos with these beach inspired presets. Inspired by my more tropical adventures, this collection is perfect for brightening up and giving your photos that easy ocean feel. 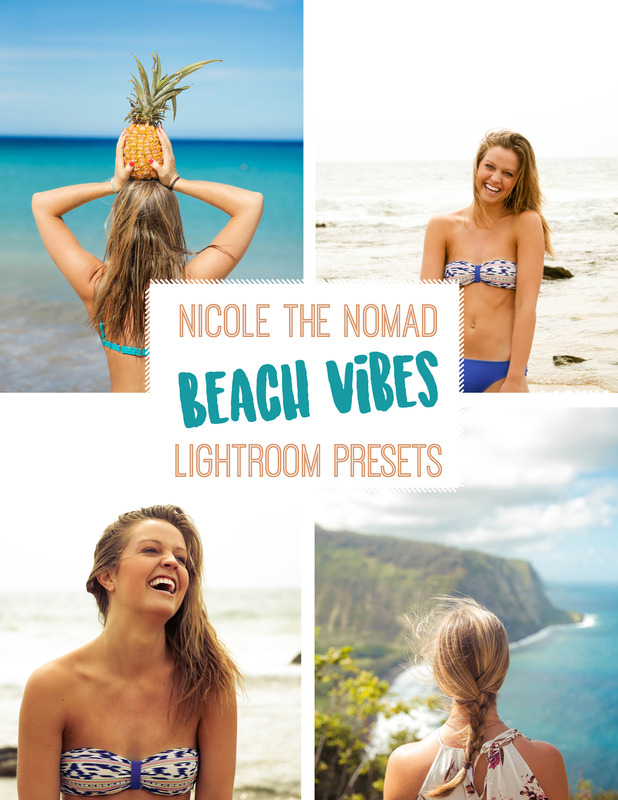 These presets were designed for pictures near with a beach or water type setting. Please remember that Lightroom presets will look different on every image. Use my example images to notice the lighting, colors, subjects and settings when deciding which image to apply the preset to. You might need to make some adjustments after the preset is applied depending on your white balance to achieve your desired effect. I tend to shoot my beach pictures a little underexposed so I can brighten and warm them up in post! These presets are designed for Lightroom desktop version + Mobile MAC/Windows PC, are compatible with RAW and JPEG photos, and cannot be downloaded to mobile devices. Due to the digital nature of this product, I am unable to issue refunds! These presets were designed for pictures with a beach or water type setting. I tend to shoot my beach pictures a little underexposed so I can brighten and warm them up in post.